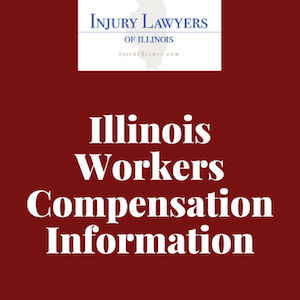 Illinois Workers Compensation Information: How Much Is Your Work Comp Case Worth? Ultimately, the answer depends on a variety of different factors based on the Illinois Workers Compensation Act. Under the law, when an employee is injured on the job, they are entitled to compensation from the moment the injury began to cost them any lost time from work. What Should You Do If You’re Injured At Work in Illinois? There are some ways to speed up the process when it comes to collecting compensation. While the law protects employees who are injured on the job or while performing job-related duties, it’s still in your best interest to protect yourself. Report your injury as soon as possible. Be honest about how/why the injury occurred to prevent inconsistencies in your story. It is also important to move fact in order to prevent your inability to work from preventing you from paying your bills. See a doctor. Because you may not recognize an injury for what it is, it’s important to seek medical attention to verify your injury, which creates a stronger case for compensation. Keep a journal. Write down your memories of the accident after it happens and chart your progress toward improved health. You can also use your journal to keep track of all related medical bills. Benefits are immediate as a way to provide medical care and a salary for an injured employee as temporary total disability, and workers are eligible for a lump sum for their injuries as permanent partial disability, depending on certain factors. A physicians rating, which is an impairment report prepared by a physician using American Medical Association guidelines. The future earning capacity of the employee. The physical and educational requirements of the occupation at the time of the injury. Evident of disability associated with the injury. There are always variables, however. Those with higher salaries are often eligible for more money, and those who receive more medical care as a result of their injury will also see bigger payouts in order to cover the costs associated with that care. Illinois rates for the compensable value of body parts are significantly higher than those of the national average, according to data. In Illinois, workers compensation varies depending up the loss. Injuries that don’t result in amputation of an extremity or the loss of a body part can be equally catastrophic. Injuries that are not on the schedule but would be covered by a workers’ comp claim are paid at 60 percent of the average weekly wage for the number of weeks – up to 500 – that are deemed eligible for compensation. For example, any permanent disfigurement is eligible for up to 162 weeks of benefits. Depending on the injury, vocational rehabilitation and maintenance benefits are also available if a worker cannot return to his or her pre-injury job. Compensation includes treatment, instruction, and training as well as maintenance costs such as funds for living expenses and other incidentals until the employee is able to take on a new position at the company or seek new employment. The law does not specifically address future medical expenses, but an arbitrator can set aside a portion of any lump-sum settlement to be designated for future medical expenses. Attorney fees are in most cases capped at 20 percent of the total compensation covered, although there are a variety of different factors allowing attorneys to charge more. Unlike other workers, railroad workers aren’t covered under the Illinois Workers’ Compensation Act, but instead can file work injury lawsuits under the Federal Employer’s Liability Act. In 2010, a Chicago railroad conductor won $9 million dollars when he filed suit against the Chicago-based CSX Transportation over a 2007 fall he attributed to unsafe working conditions. In the fall, he fractured his leg, sustained a neck injury that required surgery and suffered a traumatic brain injury that caused the loss of short-term memory. Injuries are common for railway workers, so lawsuits are not uncommon. Lawsuit amounts in Illinois also will vary depending on your injuries. Were You Injured at Work in Illinois And Need An Attorney? While you may not think you need an attorney to help you with your workers’ comp case, it’s important to have someone in your corner ready to take on your employer’s insurance company, or if your case isn’t covered under traditional workers’ compensation. The right lawyer can help prevent insurance companies from dragging out the process, putting you in a desperate position that could cause you to return to work unsafely in order to prevent losing the house or car, rendering your claim null and void. You want the right attorney to help you navigate the challenging, complicated legal system and win. Call today to schedule a free consultation. You don’t pay us a dollar until your case is settled. I love people that are aggressive, I love people that don’t take no for an answer. Tony is that type of person; he doesn’t take no for an answer. I say Trust Tony; he’ll take care of you; he’ll do the best for you. Tony is an honest person. Excellent service. Changed my life. He handled my case fast. He kept me updated on everything about my case. He is an honest lawyer. I would recommend him 100%. A friend recommended him: he told me, if you want a good lawyer, go to him. He was very upfront. I would rate him a 5 out of 5. I would definitely recommend him. He was very knowledgeable of everything that needed to be done with my case. Tony Kalogerakos is a great guy and the best attorney on the planet! I think one of his best character traits is his 100% concern about you as a person. He will find justice for your situation. The service from beginning to end was excellent, amazing. Service was... topnotch service; I didn’t have to take care of anything. Tony and his employees would call me with any updates they had... they kept me informed step by step on what’s going on with things. We serve clients throughout Illinois including those in the following localities: Cook County including Chicago including Albany Park and Ravenswood, Des Plaines, Elk Grove Village, Evanston, Lincolnwood, Morton Grove, Mount Prospect, Niles, Park Ridge, and Skokie; DuPage County including Aurora, Naperville, and Wheaton; Kane County including Geneva; Lake County including Waukegan; McHenry County including Crystal Lake and Woodstock; Will County including Joliet; and Winnebago County including Rockford.